How strange the world of clinical microbiology is when you compare the fields of mycology, parasitology, bacteriology and virology to each other. Such different possibilities, opportunities, limitations, and diagnostic challenges! The 3 month mortality rate of invasive aspergillosis, a disease mainly caused by Aspergillus fumigatus and seen in mainly patients with haematological malignancies, patients undergoing allogenic HSCT and patients in ICUs, may be as high as 60%, and therefore a quick and reliable diagnosis is mandatory to secure timely therapeutic intervention. 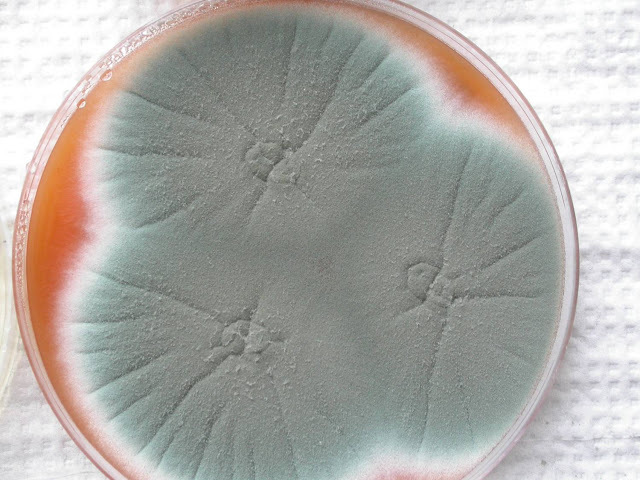 But, - Aspergillus fumigatus happens to be ubiquitous, and contamination of patient samples, whether blood or airway samples, may always be a potential cause of false-positive test results, and one of the reasons why the use of PCR as a first line diagnostic tool in routine mycology labs is still limited. Antigen tests, such as the Galactomannan antigen test, which also allow quick diagnosis can also be false-positive, not only due to sample contamination, but also due to galactomannan residues in medical compounds, such as the widely applied antibiotic Tazocin (piperacillin-tazobactam), which means that patients who have been given this drug and who submit a blood sample for galactomannan testing may test slightly positive even in the absence of an Aspergillus infection. These are only some classical examples. In the field of mycology, positive predictive values (PPV; i.e. what is the probability of disease given a positive test result) are sometimes unacceptably low, and the lower the prevalence of the disease, the lower the PPV. This means that you need a lot of experience and knowledge on pre-test-probability + data from clinical and diagnostic work-ups, including anamnestic details, to determine whether or not the patient should receive therapy, such as treatment with voriconazole, - a relatively expensive drug. Aspergillus fumigatus - the most common cause of invasive aspergillosis - on blood agar. In the parasitology lab, however, things are quite different. Contamination of patient samples is rarely an issue, and in most cases not possible at all (disregarding DNA contamination of course). Specificity of microscopy is very often very high (close to 100%), which means that the PPV is very high even in cases where the disease is rare. Hence, if cysts of Giardia have been detected in your stool, it's due to the presence of the parasite in your body. It's a bit more tricky with PCR-based analyses, where the specificity does not rely on your ability to visually distinguish between e.g. Giardia and non-Giardia elements, but where it's all about designing oligos that anneal only to Giardia-DNA. While in the mycology lab we struggle with low PPVs, one of the biggest challenges for me and my colleagues in the parasitology lab is to optimise the negative predictive value (NPV) of a faecal parasite diagnostic work-up - how can we rule out parasitic disease by cost-effectively putting together a panel of as few tests as possible? There are many other differences. For instance, you can grow bacteria and fungi in the lab very easily, in fact, culture of bacteria and fungi is an essential diagnostic tool, which also allows you to submit the strain to antibiotic or antimycotic susceptibility testing and molecular characterisation/MALDI-TOF analysis in case you are not sure about the species ID. So, you have the strains right there in front of you, on agar plates, and they grow and grow, and you can keep them for as long as you like, - clean, non-contaminated strains on selective media. 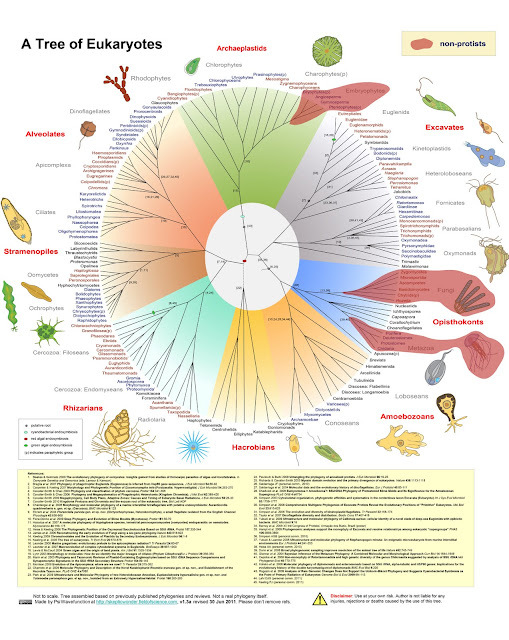 So, what appears obvious in one field of microbiology is not as obvious in another field, and vice versa. I wish Blastocystis was much easier to isolate. Dientamoeba too. Dientamoeba is probably as common as Blastocystis, and not rarely seen in co-infections. It is strange to contemplate that a parasite infecting hundreds of millions of people has not yet had its genome sequenced? We have no clue when it comes to effector proteins in Dientamoeba, and also for this parasite, what we know about its clinical significance relies mainly on epidemiological data.